From my field notes: 4 oz. brown fruit with green stripes. 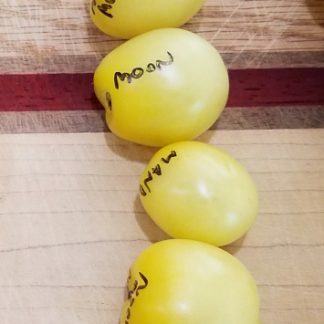 Uniform round-to-oblate, smooth fruit. Good flavor and production. 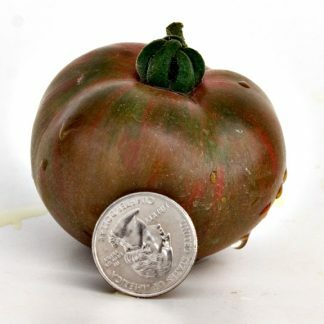 Dwarf Tomato Project description: Dwarf Andy’s Forty (Softy family) – 75 days – The Softy family was created by Sherry Long in 2012 by crossing German Red Strawberry with Dwarf Stone. Dwarf Andy’s Forty was selected and named by Susan Oliverson, who carried out essentially all of the remaining stabilization effort; Dee Sackett and Craig LeHoullier provided a bit of help on the Softy family work. The release lots of seed was grown by Bill Minkey. 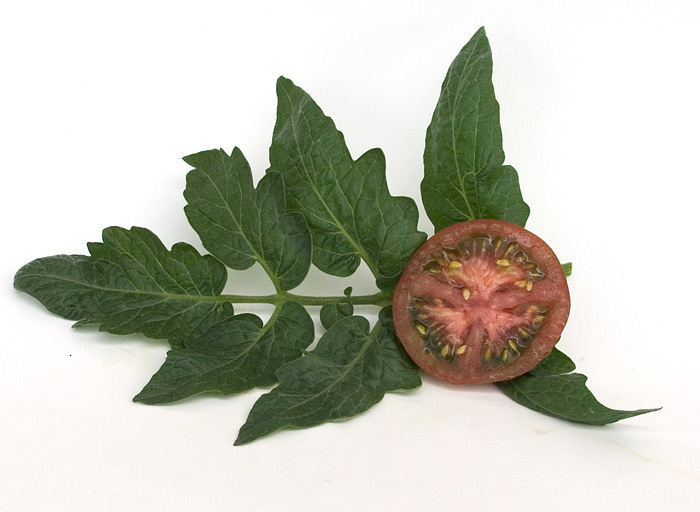 Regular leaf dwarf, 4-8 oz brown fruit with vertical green stripes, high yielding variety with nice balanced flavor. 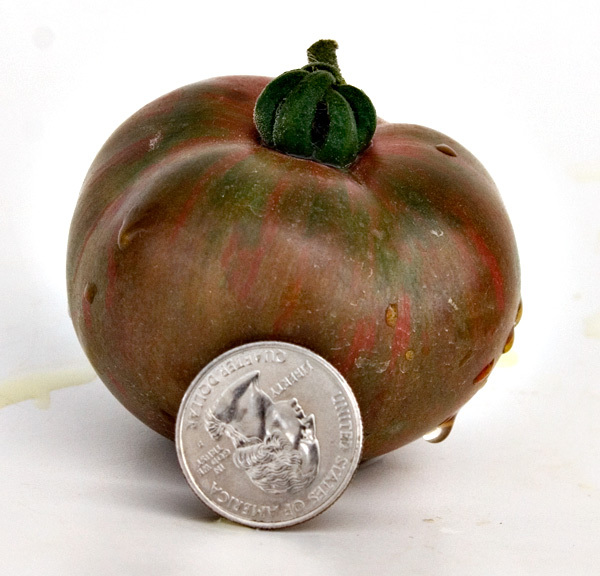 From Bill Minkey’s notes: Dwarf Andy’s Forty – 4-8 oz., brown fruit with green stripes. Very good yield. Very good to excellent flavor.